When does the Sabbath begin and end? Does Scripture give any clear indication? We will examine those questions here, especially with regard to what actually constitutes a Sabbath day, according to Scripture. It is believed that in ancient times, to mark divisions in the day, the Sumerians, with their palms facing them, used their thumbs to count each of the three bendable segments of the four fingers on both hands, which, taken together, numbers 12 each, one hand representing night, the other, day. Each segment of the finger represented an hour, and the Sumerians’ base number was 12, unlike what we use as our base today, that being 10 (ten dimes in a dollar, ten tens in a hundred, ten hundreds in a thousand, etc.). Building on this, the Babylonians developed a more sophisticated system to further measure time, using instead their base number 60, known as a sexigesimal number system, thus giving the hour 60 minutes, which in later Latin became known as pars minuta prima, or the first small part, meaning “minute,” and 60 seconds in that minute, known as pars minuta secunda, or the second small part, meaning “second.” And then they divided the day and night into 24 equal hours. By the time of Messiah, this system of a 24-hour day was already in play, though he did not acknowledge it. Why? Because the Scriptures themselves bear out what constitutes a day, without the double meaning of a 12- and 24-hour period. It’s so funny how many people get tripped up by one chapter and a few verses in Genesis when line upon line, precept upon precept, the obvious is plainly revealed all over Scripture, as seen in our documentary film Understanding the Sabbath (to which this article is a companion). That means that your understanding of that one chapter, which seems to contradict everything else, must be off. 3 Then Elohim said, “Let there be light,” and there was light. 4 And Elohim saw that the light was good. Then he separated the light from the darkness. 5 Elohim called the light “day” and the darkness “night.”. . . The verse goes on to say that “. . . evening passed and morning came, marking the first day.” The transliterated Hebrew is: wayhî- ereḇ wayhî- ḇōqer yōwm eḥāḏ—It came to pass evening, it came to pass morning, day one. Now many take this and tend to run with it, saying that the evening and morning constitute a 24-hour period, when we clearly see that Elohim separated the light, subsequently called day, from the darkness, known as night, thus day and night were separate and distinct. So you see, the evening to morning period marked the night that caused work to cease, as when men slept as night fell long ago due to a lack of electricity, not counting those who were entrusted with a night watch or period of guarding that occurred at night regardless of light conditions. Incidentally, the Hebrew word used for day in Scripture is most often yom, which means to be hot, or warm, which references the actions of the sun. The sun is only out during daylight hours, thus yom, or day, meant, literally, the period of light that is generally 12 hours during the spring and fall seasons, and not a period of 24 hours, with day and night combined. And if day and night were one, what would be unique about the Sabbath if everyone already rests on the night portion seven nights a week. The unique thing about the Sabbath day is that the servants of Yah get to rest on the day created for them. Genesis 1 does not say that a day is evening to evening. It basically shows us at what time creation took place. Genesis 1:5 and all verses like it are simply showing that evening and night are tied to the morning and not the other way around like many believe—those who say the day starts in the evening and drag morning with it. You’ll notice that when the next morning came, that was the time to create again. Then evening passed and morning came, so the previous day and its events were collectively done, showing that evenings and nights are tied to the morning, but not in a 24-hour sense, because there is a clear separation according to verse 4 of Genesis 1. And notice that the sun wasn’t created until day 4, meaning that Yah’s presence acted as the sun (1 John 1:5; Revelation 22:5; John 8:12). While he was present it was day, and when he went away, evening and night could come. A new day began with Yah’s return because there was no sun and Yah started day 2’s creation in the morning. Then on day 4 he created the sun to replace the function of his presence. Evening to evening day folks cite Genesis as proof of their claims but notice that the verses say nothing of evening to evening. It in fact states clearly that evening ends creation and the next morning starts the official next round of creation. Morning starts the day for Yah and evening ends it as we’ll show from just a few of many Scripture verses. The 24-hour day is a human construct. You have to understand that Yah is all about separation and grouping. With that understanding alone, day can never be one with night. They both represent totally different things that are diametrically opposed. Once you understand that good cannot and should not exist with evil, or light with darkness, you’ll understand why day cannot be 24 hours. The devil always goes directly against Yah. If Yah says marriage is between a man and a woman, he says not so, and causes man to break that law. The same goes for each and every law down the line. He has deliberately broken them all. And he has set out to recreate Yah’s entire structure of existence in a corrupt way, hence the 24-hour day; schools and universities; banking based on debt and interest; worthless fiat currencies that are not backed by actual money, which is gold, silver, etc. ; pharmaceuticals instead of herbs, and so on and so forth. When you study it out it will begin to make sense, but it goes deep. Another instance of a Hebrew word being translated as day is boqer, which means dawn, or break of day, and morning. Boqer is used in Judges 16:2, where it is often translated as morning or light of morning. Another Hebrew word used as day in some translations is shachar, which means dawn, and comes from another word of roughly the same spelling which means, to dawn or be early. To deviate a bit, some hold that the day begins and ends at evening, and that a seventh-day Sabbath lasts from sunset to sunset, but neither of these assumptions are proven from Scripture. When the beginning of day is spoken of in Scripture it is usually done so by being referenced as the dawn of, or break of day, seeing day involves light and not darkness, so cannot begin when it is growing dark out, like so many falsely believe. 24 And Jacob was left alone. And a man wrestled with him until the breaking of day (shachar). So dawn, and not evening, according to two Hebrew words, boqer and shachar, marks the beginning of the day, which itself, attested to by yet another Hebrew word, yom, occurs during daylight hours, and not night, thus negating the 24-hour day theory. 17 David slaughtered them from the twilight until the evening of the next day (mochoratham). This verse could easily be used by someone trying to prove the day-begins-at-evening theory, but it would be done so in falsehood, for the word mochoratham, translated day, in that it is the morrow, means only that the period of daylight following the current one is being mentioned. Note that both twilight and evening are mentioned, but not as beginning periods of the day, but rather as the final portions within that daylight period. Twilight of course refers to the time of the day when the sun is just below the horizon, especially the period between sunset and dark when light is diffused. This can occur during early morning as well, but here I believe the word twilight is speaking of early evening, given the fact that in Hebrew it is nesheph, which refers to a prevailing evening breeze. Thus, David smote the Philistines from the early evening of one day, all through the night and up to the evening of the day that followed. In other words, the smiting took about 24 hours. 32 And they took up Asahel and buried him in his father’s tomb which was in Bethlehem. Then Joab and his men went all night until the day dawned (owr) at Hebron. Thus the day, as even a child knows, begins in the morning, when light appears, and ends at evening, when light diminishes, having nothing to do with the night, which means it is not a period of 24 hours. 25 But the men would not listen to him. So the man seized his concubine and brought her out to them; and they raped her and abused her all night until morning, then let her go at the approach of dawn. 26 As the day began to dawn, the woman came and fell down at the doorway of the man’s house where her master was, until full daylight. Often, we read these fascinating accounts in Scripture that causes us to get so caught up in the details of the stories that we in turn miss the important points of truth concerning subjects such as the one we are covering herein, that is, what constitutes a day in Scripture. Therefore, we are cutting to the chase so to speak and giving you the meat of the texts dealing with our topic, the day. 13 It came about the next day that Moses sat to judge the people, and the people stood about Moses from the morning until the evening. This lesson is not limited to the Pre-Messianic Scriptures alone. 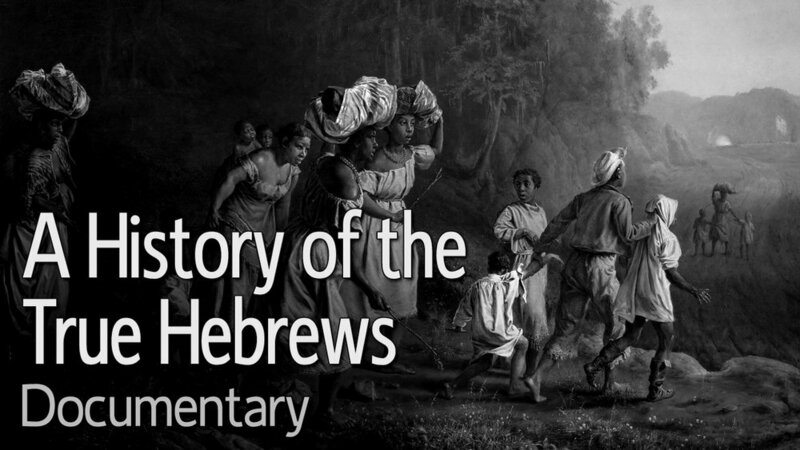 We covered several examples in the Messianic Writings in our documentary video Understanding the Sabbath. 16 There dwelt men of Tyre also there, who brought fish, and all manner of wares, and sold on the sabbath unto the people of Judah, and in Jerusalem. 17 Then I contended with the nobles of Judah, and said unto them, What evil thing is this that you do, and profane the sabbath day? 18 Did not your fathers thus, and did not our Elohim bring all this evil upon us, and upon this city? yet you bring more wrath upon Israel by profaning the sabbath. 21 So we labored in the work: and half of them held the spears from the rising of the morning till the stars appeared. 22 Likewise at the same time said I unto the people, Let everyone with his servant lodge within Jerusalem, that in the night they may be a guard to us, and labor during the day. First let us note that this is the only text wherein descriptive language is used to explain the duration of a Sabbath, and it is one of only two that is known as a high Sabbath, which we’ll explain shortly. Second, note that Yah mentions both the ninth and tenth day here. People tend to use this to say the tenth day begins on the evening of the ninth day, but that is confusing and misleading. The ninth day at evening is self-explanatory, in that the “ninth day” is in and of itself its own day, and not the beginning of the tenth. This was a rare Sabbath, hence the thorough explanation by Yah regarding its observance. The other high Sabbath was the first day of the Festival of Unleavened Bread, the details of which can also be found in Leviticus chapter 23. Preceding the first day of the Festival of Unleavened Bread was the Passover, which, according to verse 5 of chapter 23, was commanded to be held, according to the Hebrew sense, between the evenings, whereas others translate it evening. Between the evenings is a Hebrew idiom that refers to either 3:00 p.m., according to the Pharisees, or dusk, according to the Sadducees. Regardless of who was right, Yah darkened the day from the sixth to the ninth hour to fulfill it. At the ninth hour, being 3:00 p.m., is when Yeshua died, fulfilling the role of our Passover lamb—see Matthew 27:46-50; Mark 15:34-37; and Luke 23:44-46. Note that the first hour was reckoned as 6:00 a.m., further proof that a day does not begin at evening. How could the ninth hour be 3:00 p.m. if the day started in the evening? Error regarding these simple truths has persisted for far too long. And please note that I do not make this point to say that the day begins at exactly 6:00 a.m. wherever you are. It actually begins whenever the sun rises wherever you are in the world, and it ends whenever the sun sets whenever you are in the world. A simple Google search can tell you when the sun rises and sets for your given location. Now remember that the Passover was to be observed all night, as we read in the book of Exodus chapter 12. But in the morning, the Israelites were to return to their tents as commanded in Deuteronomy 16:7, because the morning was no longer Passover but the first day of Unleavened Bread. Because the Passover, which ran throughout the previous night, connected directly to the first day of Unleavened Bread, this made that entire observance a high Sabbath. This leads us to ask, what exactly is a high Sabbath? 31 The Yehudim (those of the tribe of Judah) therefore, because it was the preparation, that the bodies should not remain upon the stake on the sabbath day, (for that sabbath day was a high day,) besought Pilate that their legs might be broken, and that they might be taken away. Remember too that the Day of Atonement was called a Sabbath by Yah himself back in Leviticus chapter 23. Thus the seventh-day Sabbath was not the only Sabbath observed by the Yedudim in Yeshua’s day. The word “high” in John 19:31, which refers to the type of Sabbath they were preparing for, is the Greek word megas (G3173), which means large, or great (like our English word mega) and it is associated with two other Greek words, megistos (G3176), which means greatest, and meizon (G3187), which means greater, or more. What does all this mean exactly? Well, it falls in line with exactly what we have been saying herein. A regular Sabbath was and is from morning to evening, but a high Sabbath, or megas Sabbath, is larger than usual. This is because a previous night is attached to it. Again, there are only two high, or big Sabbaths found in the entire Scriptures, and they are the first day of Unleavened Bread, which has the prior night of Passover attached to it, and the Day of Atonement, both observed from the evening of one day to the evening of another. So once you come to light on this matter and are convicted of it, you must begin to observe the Sabbath as it has been laid out in the Scriptures, and not as tradition dictates, for . . .
That said, I urge you to study this out for yourself. Only Yah and Yeshua can guide you to full truth on this and all subjects via the Ruach (Spirit). I hope you find light and truth in your search regarding this important topic, but don’t take anyone’s word for it, not even mine. Come to an understanding by Yah’s guidance alone. Since the tribes of Israel were declared lost, and the remnants of the nation of Israel were subsequently scattered to the four corners of the earth, many have come forward proclaiming that they are the true descendants of Israel. Christians claim they are spiritual Israel and true lineage doesn’t matter anymore . . .
An in-depth look at the seventh-day Sabbath, both from a historic and scriptural perspective.